It's that time of year when the days are heating up and it's finally warm enough to go outdoors and enjoy a picnic! 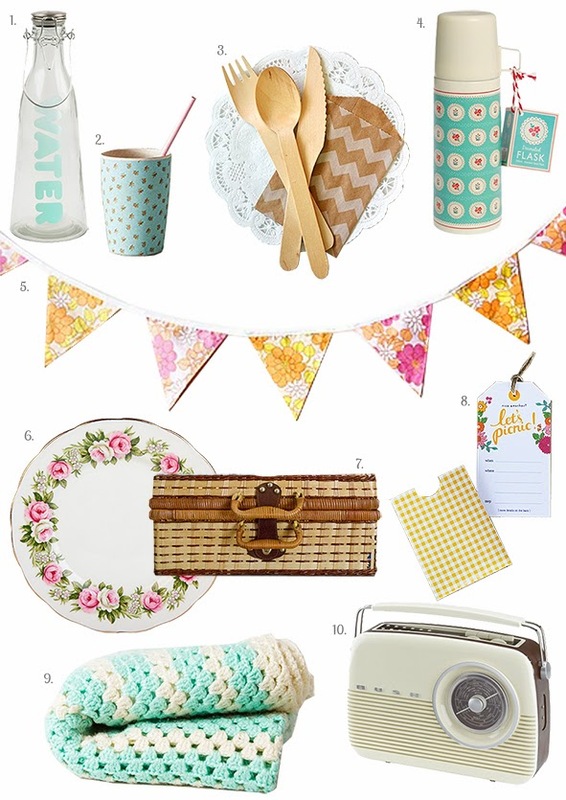 Today I created a collection of my favourite picnic essentials that could be used to style the loveliest, vintage-inspired picnic! I hope it inspires you to have a picnic of your own!